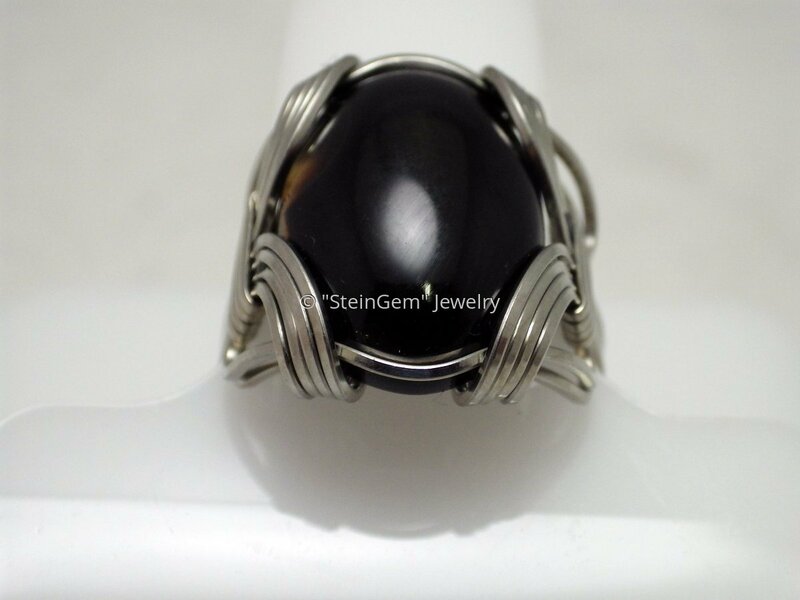 Super Strong 4 wire stainless steel ring cradling a beautiful black onyx 18 x 13 mm cabochon. Talk about beauty, this one gals is a charmer. Your man will love the feel and durability of this fantastic wire. I will custom make this ring in your mans size. Just specify his size at check out.